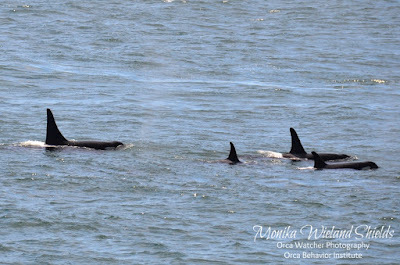 On Monday, June 26th the westside shuffle by Js and the K14s continued and I was lucky enough to catch one of their northbound passes on my (extended) lunch break. 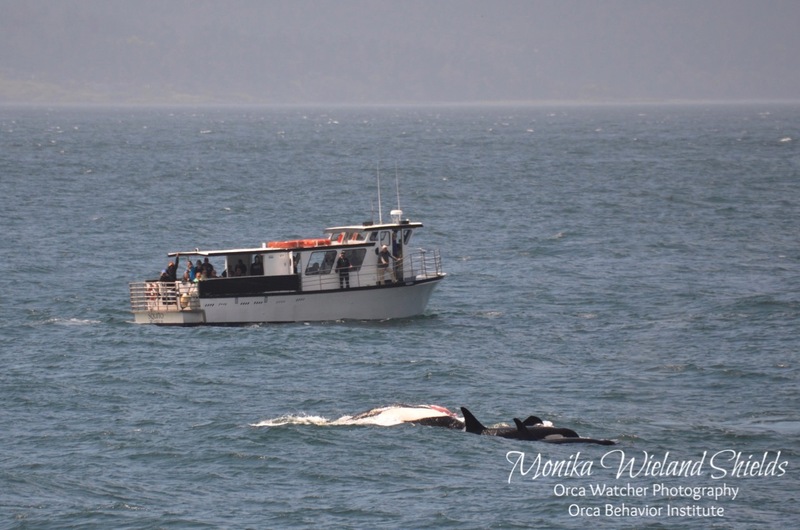 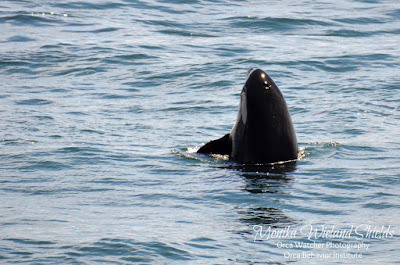 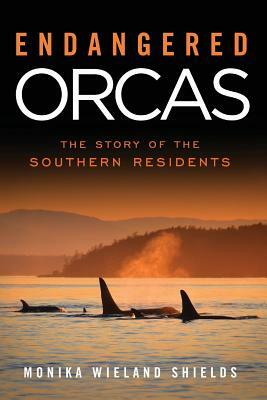 The first few whales were spread out and several hundred yards offshore, but then a tighter group slowly rounded the bend to the south and made the hoped-for turn to aim inland towards us waiting on the shoreline of Land Bank's Westside Preserve. 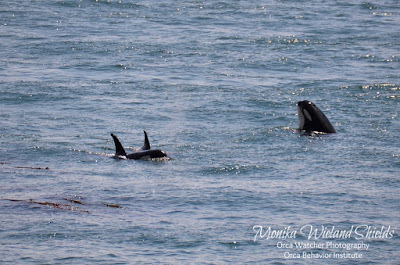 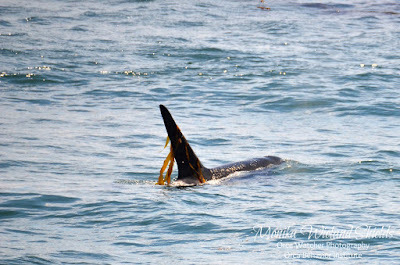 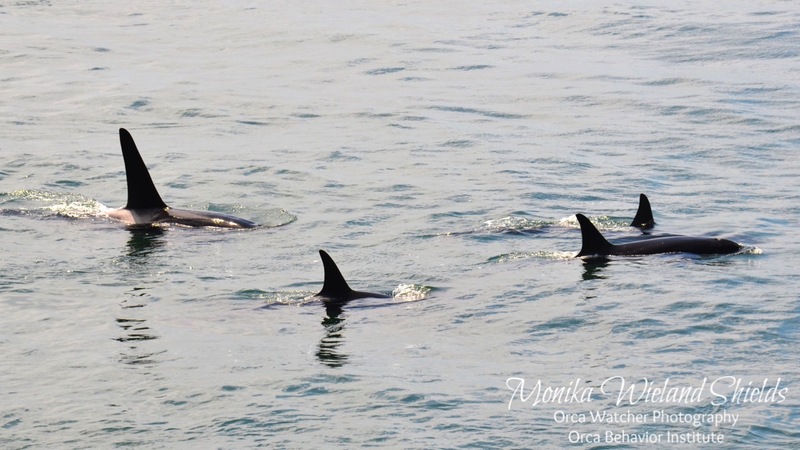 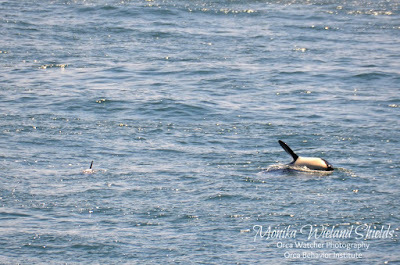 It turned out to be the K14s with J39 Mako and J40 Suttles, and after a long dive they made a slow pass along the whole length of the shoreline where we were, slow enough that I could walk along the rocks with them. The pictures don't fully capture it, but from this one you get a glimpse of how the color of the water let us see their bodies underwater more than usual. 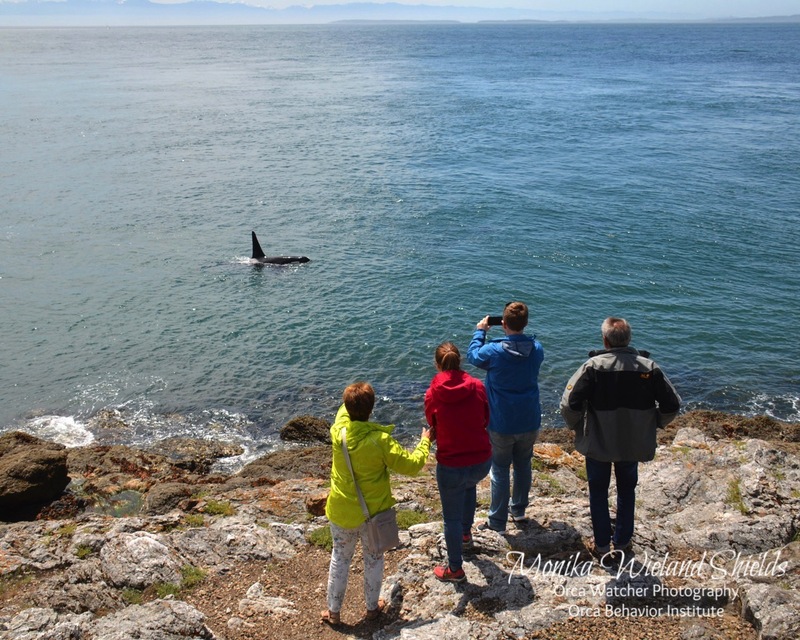 And I was thankful my husband Jason stayed above me on the rocks and took one of me, too! 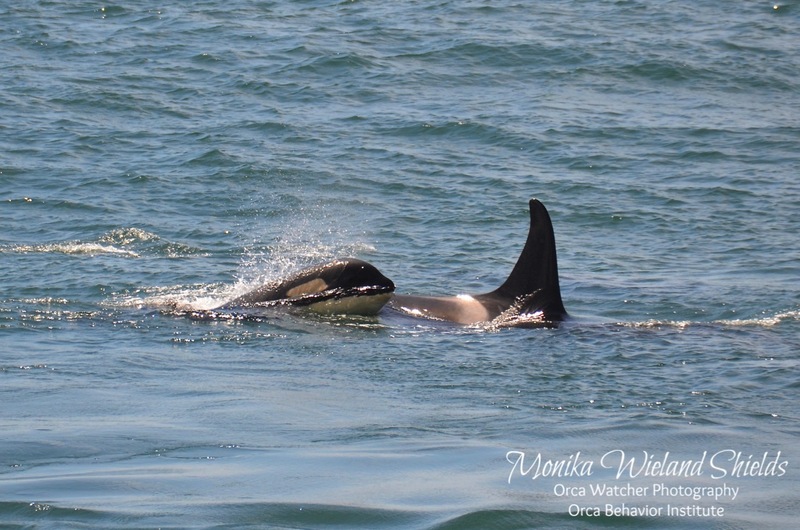 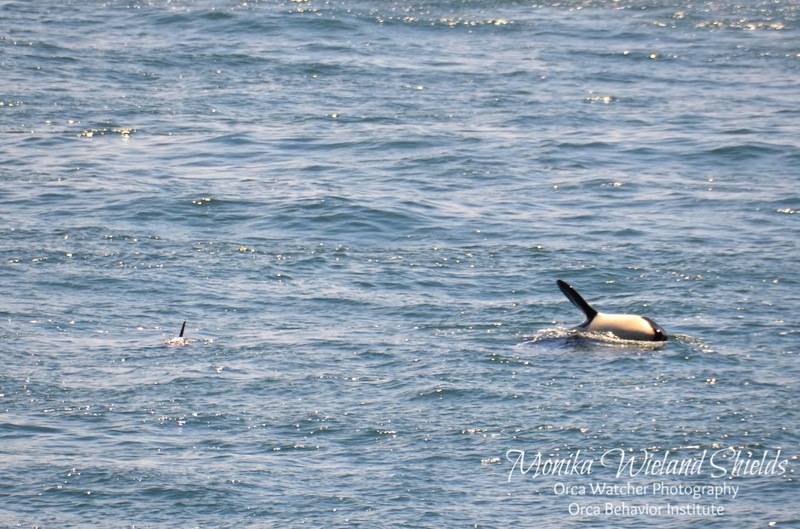 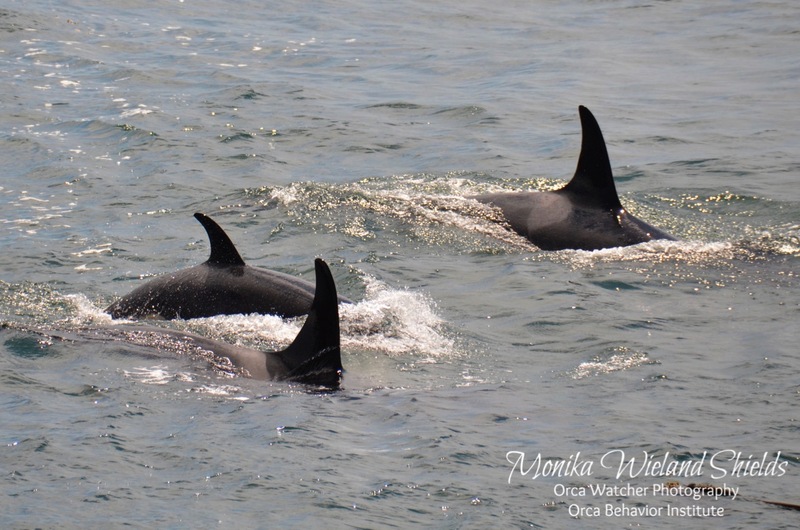 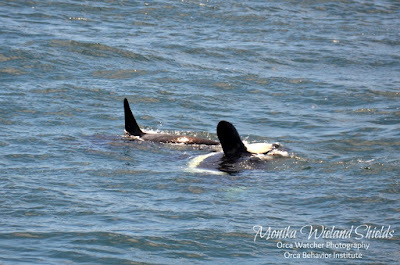 J17 Princess Angeline, J53 Kiki, and J44 Moby. 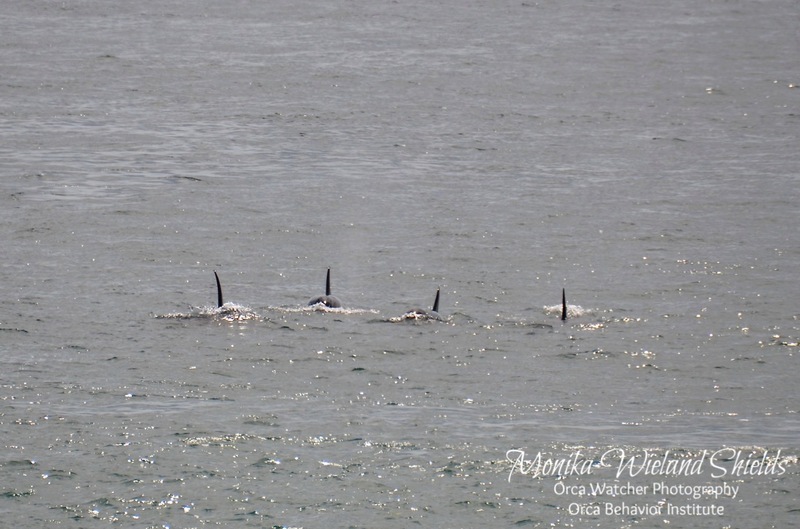 Next came the very playful J16s, who also were in no hurry to go anywhere, going back and forth past the Land Bank shoreline several times. 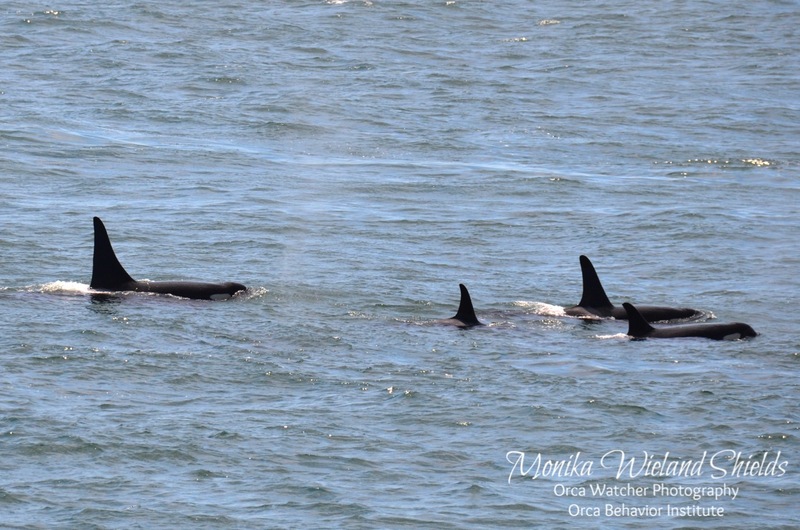 The rest of J-Pod came to join the party, and K14's group and J16's group had seemingly been waiting for them as when they all met up they all finally continued north in big, cuddle-puddle fashion. 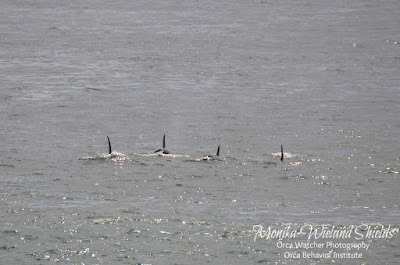 After two days of going back and forth, the residents finally did commit to going north, and would spend the next 2+ days up near the Fraser River. 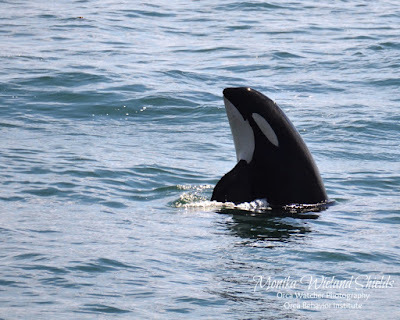 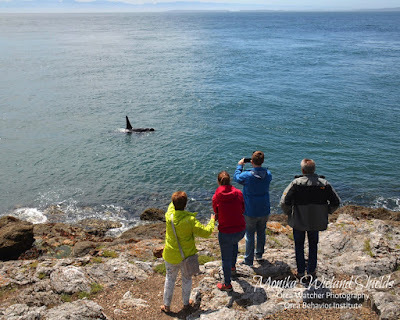 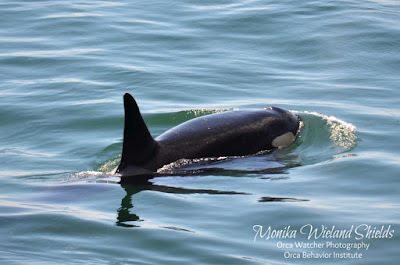 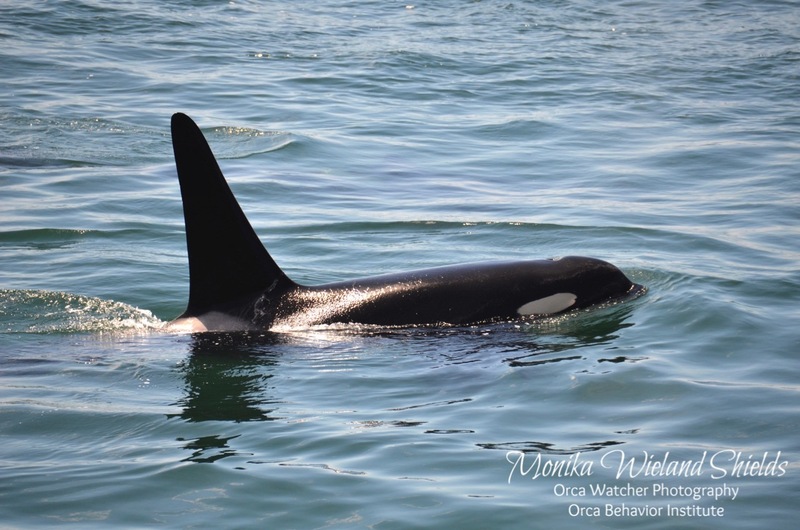 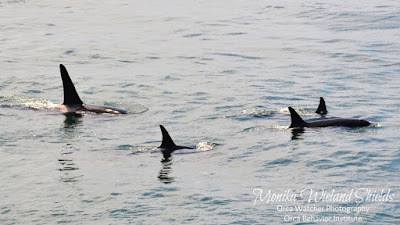 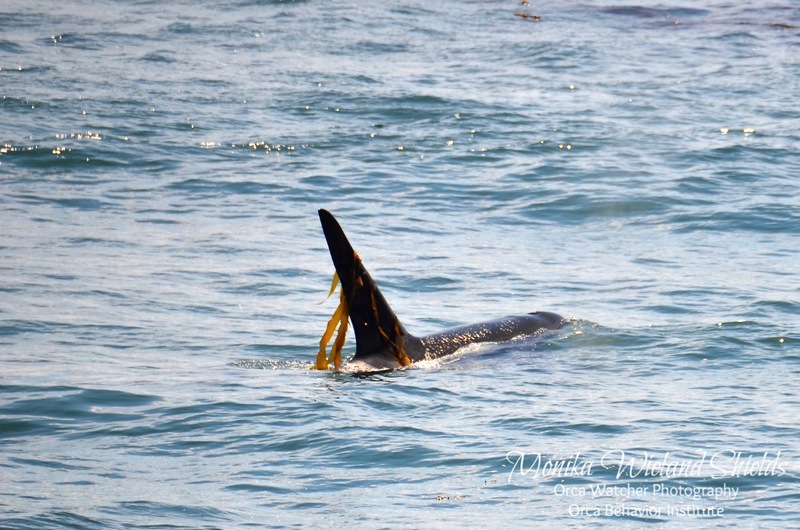 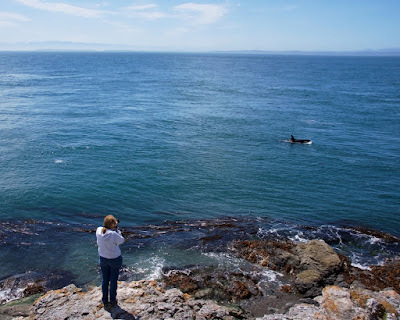 Next up is my report from when they did come back south to San Juan Island again!